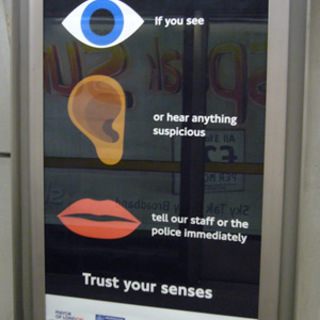 Remember the Orwellian Transport for London CCTV poster from 2002? There’s a new poster on the Underground, inviting us to report our suspicions of fellow citizens to the nearest authority. I actually think that it’s a great piece of artwork, but there’s something unsettling about the tone and the overall impression.